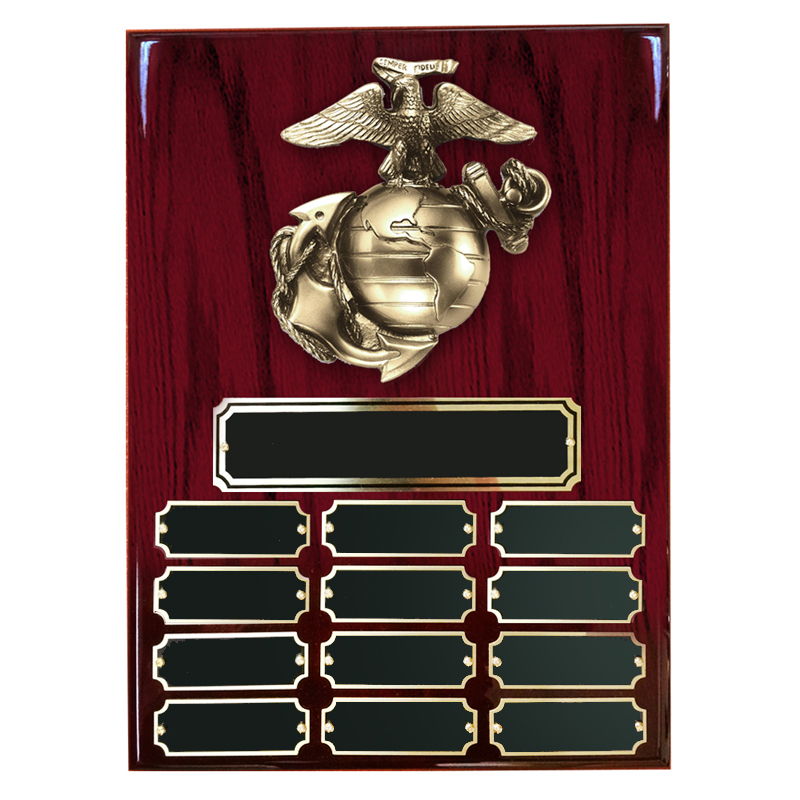 Item Description: 9 x 12 inch perpetual piano finished cherry board plaque with 5-1/2 inch modeled antique brass Marine Corps casting. Comes with black and gold screened header plate and 12 small name plates. 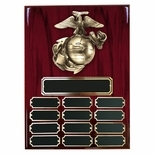 Engraving Options: The header plate and name plates can be laser engraved with either text or logo for an additional price. Enter engraving in the text boxes provided or upload your own file with logo or text copies via Upload Artwork File/Engraving link.